Of course, Stiles isn’t actually a name so everyone is still confused as to what that actually means. But that patching up isn’t that hard. And Mason and Corey are pretty much involved in this story the entire time – not sidelined, not disappearing… And Corey’s invisibility power? Allows him to see the Wild Hunt and show it to other people including the bits that people who have been disappeared have left behind. Yes, his power which was used to make him little more than an extra last season is now going to be an integral major part of this season! Hey it only took them six seasons (the last season) but maybe Teen Wolf has finally decided to live up to its endlessly hollow press. 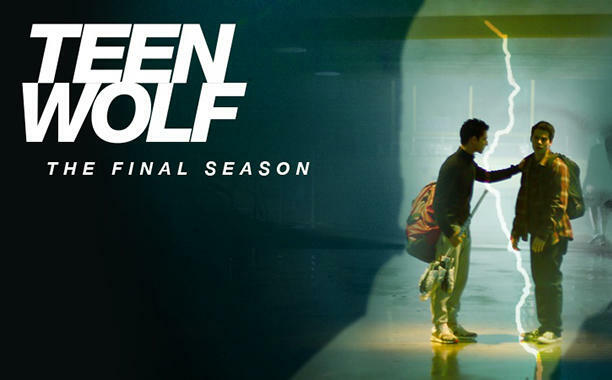 Ok we got one borderline dubious gay joke – but these two episodes point to Teen Wolf finally actually achieving what it has been endlessly and undeservedly praised for. Corey’s so going to die by the end of this season isn’t he? Mason, Corey and Liam find another vanished student and track down the hole in their memories to find this out, using Corey’s power and bothering Victoria (who thinks this school is a safe space now – hah!) and Parrish (who is investigating the actual murder from last week which also involves helium theft but it’s not going to be relevant for at least another few episodes). More boringly, Scott is trying to encourage Liam to become the next Alpha by means of sports metaphors. I would have thought this would be the lead up to Scott/Stiles/Lydia disappearing and the series rebooting/spin-offing (which was a theory for a while) but this is he last season and I don’t think anyone cares about Liam/Hayden/Mason to anything close to that degree. At least we get to see the coach who I do kind of love despite myself. And out of the weird – Claudia Stilinski, Sheriff Stilinski’s dead wife and Stiles’s dead mother is now… alive. And cooking with kale (so clearly evil). But wait – his existence hasn’t been erased. Just memory of him. Look at how Scott remembered something is missing: because his experiences don’t make sense without Stiles being there. If Stiles was actually erased, Scott wouldn’t have a hole in his memory, Scott wouldn’t have been there that night, Scott wouldn’t have been bitten… and the last 5 seasons wouldn’t have happened. So Stile’s memory is what killed Claudia – like if Claudia didn’t know she had a son she wouldn’t have died?